Cole Derrick Hicks left this world suddenly on March 31, 2014. He will live on in our hearts, memories and through the lives of his two wonderful children, Ashley and Dawson Hicks. Cole led a very full life. He was born in Susanville, Calif., on Oct. 17, 1965, to Robert and Judy Hicks, now Judy Cash. The Mapes Ranch in Northern California, owned by Cole’s grandfather, was his childhood playground. There, he learned to hunt birds and large game animals. Cole remained an avid hunter his whole life. He believed that opening day of deer season should be an Idaho holiday. Sports were a passion for Cole from a very young age. Playing baseball both in summer and in school, he was a good pitcher with a very good batting average. He was a lead-off batter with great speed. This speed led him to run track as well. His speed and stamina took him to the California State Track Meet while in high school. Football became Cole’s main sport, earning him a position on the Butte College football team. 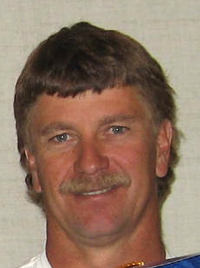 Cole graduated from Lassen High School in Susanville in 1984. The great outdoors prompted Cole to move to Idaho, settling in the Wood River Valley full-time in the late 1980s. He was introduced to the wonders of Idaho when his mother moved to Ketchum. During the early years, Cole worked for his stepfather, Phil Cash, at the Vienna Mine in the Sawtooth Mountains. While working at the Vienna Mine, he was hired to work security and special effects on the movie “Pale Rider.” Cole also worked at the Warm Springs Mine out of Ketchum, and then at the Princess Mine in Camas County. Cole met his wife, Cheri Boger, now Cheri Hicks, when her parents invited him to go snowmobiling with them in the Sawtooth Mountains. That summer on June 10, 1989, Cole and Cheri had their first date, right after Cole and his brothers had sworn off women for the summer. Cole and Cheri were married April 28, 1990, in Stanley, Idaho. Before their first child was born, they had seven years together filled with snowmobiling, river raft trips, hunting, fishing and traveling. With two children completing their family, they had a deeply loving and committed relationship for nearly 25 years. After moving away for three years for Cheri to attend law school, Cole and Cheri returned to the Wood River Valley in 1994. Shortly thereafter, Cole began to work for Bishop Builders Inc., becoming a lead foreman. During the nearly 20-year period working for Bishop, Cole built many of the large, beautiful homes in the valley. He was so likable that many of the owners kept in touch with him for years after their home was finished. Cole and Cheri built two homes for themselves. His family continues to live in the second home they built together. Motor sports were Cole’s second favorite pastime. He raced motorcycles as a kid and snowmobiles as an adult. Cole raced both the hill-climb and cross-country circuits on snowmobiles. He was hired by Polaris to ride snowmobiles for advertising photographs and one commercial. Cole’s favorite motor sport to watch was NASCAR stock car racing. The end of race season meant there was nothing on TV on Sunday, according to Cole. He and Cheri were able to attend two live races, one in Charlotte, N.C., and the Bristol, Tenn., night race. A dedicated dad, Cole’s favorite moments were spent with his children playing with them or watching them in their many activities. They are his living legacy. Cole was also blessed with a large family. Surviving him are his wife and children; his father, Robert Hicks; his mother, Judy Cash; a sister, Rorie Chittock; three brothers, Noel Hicks, Troy Hicks and Julian Cash; and all of Cole’s nieces and nephews. Cole also had the joy of growing up with and extended family of three step-brothers, Brett Roth, Patrick Roth, Chris Cash; and two step-sisters, Wendy Bayles and Lisa Cash. He also deeply appreciated his many friends. An undetected brain tumor took Cole’s life. He passed away after being flown by life flight to a hospital in Boise. His wife, Cheri, was with him, holding his hand until his last breath. Cole was a tough, hardworking outdoorsman who also had a heart of gold. He has touched so many people and left a great impact upon them. Cole Hicks will be greatly missed but never forgotten. A Celebration of Life will be held in June. Donations for his family can be made at any DL Evans Bank, or online at youcaring.com.